One of my favorite stories of all time, from May 2014. 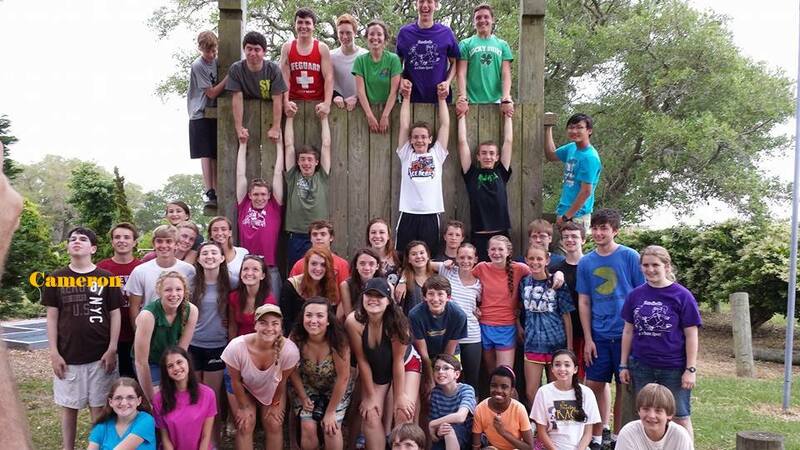 When the youth group goes to Fort Caswell for the spring retreat, one of the many traditions involves a team building exercise known as The Wall. The Wall is about 10-12 feet high and 6-8 feet wide and kids who choose to participate scale the wall with others in their grade. It’s always a beautiful thing to watch. This year, Cameron, a 16 year old who has been raised in the church, made his first trip to Caswell. He’d been on other youth trips, but not this one; so he’d never seen The Wall, never participated in this tradition. Of course, he didn’t have to do it. No one would have objected if he’d taken a pass. You see, since birth, Cameron has developed at a different speed than other children. One orthopedist even told his parents not to expect much in the way of gross motor development, saying that Cameron would likely be in a wheelchair. (His parents got a different orthopedist.) It took him awhile, but with the help of a kid-sized walker, Cameron put one foot in front of the other, and by the time he was four and a half years old, he was walking on his own. These days, while his muscle tone is still relatively low, he gets around fine. He does, however, walk slower and more intentionally than most folk. And, well, he just has to work a little harder than other people to move through the world. But back to Caswell’s wall. “Are you going to climb The Wall, Cameron?” We asked him mostly out of courtesy, not wanting him to feel left out. “Yep,” he said, looking over his glasses that had once again slipped too far down his nose; and he made his way over to lifelong friends who awaited him at the wall. Physically, Cameron couldn’t offer much assistance at all. He couldn’t push or pull himself up. He couldn’t reach out or grab hold. If he panicked, he would fall. If he struggled against them, they would drop him. Cameron put his hands on sure shoulders and lifted a foot onto the human stool; his friends did the rest. 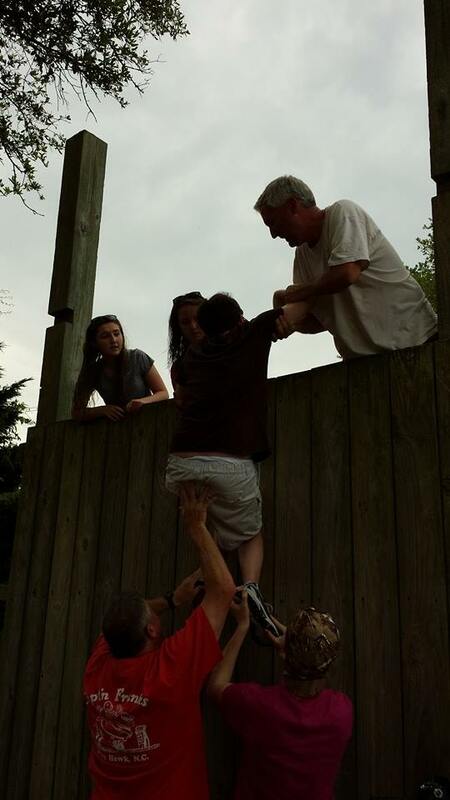 One adult and two girls standing on the back of the wall reached down, while several guys at the base helped lift him up. Other teens gathered around, arms extended, ready. He progressed, inches at the time, eventually straddling the top of the wall. Once there though, he seemed to get stuck. A moment of uncertainty followed when no one was exactly sure how to proceed. Then another teen—a bulky weight lifter—popped up on the back of the wall, reached down, and gently lifted Cameron’s leg up and over. Cameron got his balance, looked out over the crowd, and hesitantly lifted a hand to wave. Now for most kids, getting down is easy; but Cameron couldn’t jump off the platform to the ground without injury. No worries! His friends had already figured it out. Four strong arms waited to cradle Cameron from the wall to the ground. He let go, they held on, and then he was down, smiling at the cheers and congratulations from his youth group. And he did. He really did.
. . . like living stones, let yourselves be built into a spiritual house, to be a holy priesthood . . . It's that time of year: admissions decisions are being finalized, scholarship applications are due, and students are trying to decide where they’ll attend college in the fall. They get lots of advice: sound counsel that really does help and trivial platitudes that don’t do anyone any good. Here are a few of the most common statements I've heard. Truth: Waiting until the last possible minute might be good. As other students turn down scholarships, money is made available to holdouts. In the last week of April 2014, my son’s scholarship awards went up daily. DAILY! So take your time. It might just pay off. Truth: You might not get that feeling right away. It might have to grow on you; trust yourself. Some people fall in love more slowly and more systematically. It’s the same with choosing a college. Truth: Talking to other people helps. Talk to teachers, mentors, and adults who care about you. Talk to friends, current students, and alumni. You’ll gain new information and insight that will make it easier to make your choice. Unfortunately, students also hear things that are more myth than truth and are neither exceptionally helpful nor entirely true. Here are just a few of those. Really? It wasn’t the best four years of my life and I had a great collegiate experience. But best years of my life? Not even close. Frankly, there’s not much that compares to my childhood summers: homemade ice cream under the carport; watermelon seed spitting contests; roller skating, bike riding, playing in my playhouse. Those were some great years. But then, the last four years have been good too. And the four before that. Life is full of great years, so at the very least, you’re overstating. But there’s a bigger problem with this statement. Expectation. Expectation can just flat slaughter reality. See, no matter how good college is for you, I promise you it won’t be perfect. You’ll have some life-changing experiences, but some of those you would just as soon have lived without. College can be wonderful. It can be difficult. It can be wonderfully difficult and difficultly wonderful. But don’t set students up to approach the next four years as the highlight of life. That’s just not true. And if it is, that’s sad. For me, this is somewhat true, but I’ve also developed friends since graduating college who are more like family than friends to me. Before Facebook, I’d kept in touch with three or four of my closest friends from college. Now I’ve reconnected with many I’d lost contact with and I’m grateful for that. But I’m also in touch with childhood friends and friends I’ve made since the late 80’s. You can make friends whenever and wherever you are. My brother-in-law’s closest friends are high school buddies. My sister’s besties are co-teachers. So yes, hopefully college students will meet and keep new friends. But I for one am grateful that I didn’t stop making friends when I left college. 3. POSSIBLY FALSE: "You’ll be fine." This may be one of the most dangerous things we say to students. Here’s the deal: way too many college students are anything but fine. Depression and anxiety spike during these stressful years. Suicide on the college campus is consistently on the rise. If students go into college thinking everyone else is fine and they are the only one struggling, they can feel isolated and resist mental health resources because of the fear of being different from the masses. A lot of college students find these years difficult and confusing and lonely. So adults, instead of “You’ll be fine,” how about we say, “I’ll always be here for you,” and mean it. And students: it’s okay if you aren’t okay. I promise you are not the only one. Reach out to people you trust and look into collegiate mental health services. Sometimes, we all need a little help to be "fine." Secondly, it does matter, but perhaps not for the reasons you think. It’s not because of the college's reputation or status; the quality of the school and its majors are important, but the truth is you can find quality at just about in college or university. There are exceptions, but mostly academic experience is shaped by personal investment. But it does matter where you go to college. It matters because of the connections you will make both personally and professionally. How many people do you know who are married to someone they met in college? A lot, right? And that best friend thing—most college graduates have made dear friends along the way, friends who have shaped their lives in profound ways. That’s not all though. During the next four years and beyond, your professors and advisors will share more than academic knowledge with you. They will also pass along information about job openings and career opportunities; they will be your references for graduate school or employment. It matters that you choose a college where the faculty appeals to you. Indeed, it doesn’t necessarily matter where you go in terms of national ranking; but it totally matters that you choose a college that feels right to you. 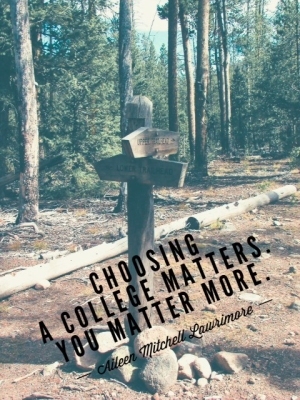 Choosing a college matters; YOU matter more. This post was first published March 9, 2016. How fitting that on my first day as shepherd at Ecclesia Baptist, my "Hur" surprised me and came to the service. Thanks be to God for this precious and dear friend! Imagine the pressure: Moses—who as we know had his share of problems as leader of the children of Israel—is now in the midst of a battle. The battle goes well for his people as long as Moses lifts his arms; when his arms sag, so does the will of the people and the battle goes badly for them. Think about it. Or try it. Just try lifting your arms while you read this short blog. (I know: you have to lower one arm to scroll down. Make that little exception.) The leader, Moses, was faced with a situation that was physically taxing—one he could not manage on his own. Thank goodness for Aaron and Hur. Most of us church goers have heard of Aaron. He’s the brother of Moses, the one who spoke for Moses. You may remember the story (you can find it in Exodus 4:13-15). But Hur is a less familiar name. Yet Hur seems to be a part of Moses’ inner circle of support just as Aaron was. In this passage, he’s there offering support to Moses when he grows weary. In a later passage (Exodus 24:13-15), Moses refers the people to Hur and Aaron for handling disputes when he left for the Mount of Sinai. Leaders need people like Hur: people who will hold them up during times of trial, people they can rely on when responsibilities call them off site. In fact, leaders cannot lead effectively without the Hurs in their lives. Several years ago, I was serving as coordinator of special grants at a community college. 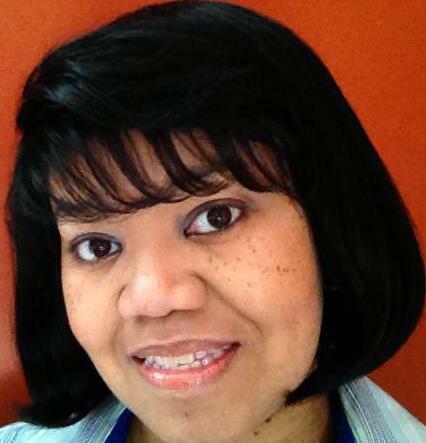 While there, I found out how a Hur can help a leader serve more effectively. In that job, (believe me) I had my share of battles. Sometimes I felt as if I were on the frontline, with student frustrations and provider disputes exploding all around me. I could not have managed on my own. Thank goodness for Keisha. Keisha worked with me, fielding the frustrations and deciding the disputes. She held my arms up when I grew weary. She stood in for me when I had to be away. Of course, Keisha did not get a lot of credit in the annals of community college history for being my support system. But like Hur, Keisha shared her talents and abilities readily, making possible any successes we experienced in our little department. Oh, you can put your arms down now. And be encouraged: you don't have to lead alone. Thank Goodness. In 2009, I wrote this post for a different blog. June 22, 2014--I preached from this text, in part because our children had heard this story during VBS the previous week. On August 2, we celebrated our mother's 80th birthday. At her party, I read this tribute. Of course, there are lots of personal references here, but I thought you might appreciate it anyway. First, though, you should know that Mother's grandkids call her Gangi pronounced "gan-gee" with two hard G's as in "Gloria" or "Grace." Also, my grandfather, her dad, was a math whiz who could do complex mathematics faster than a calculator. More explanations below. Enjoy! Gloria Mitchell, Happy birthday to you! 80 years old? That just can’t be true! The youngest of five, a sweet daddy’s girl. She turned 18 and headed to college. Mercer provided all kinds of knowledge. Papa spied her on campus, and thought she was cute. So he took her sign class, and began his pursuit. And when Gloria accepted, it sure tickled him. In 1960, they went and got married. Then headed up north to get seminaried. Made Papa a daddy and Gangi a mother. Dealing with deacons, and other church strife. Gangi converted each house to a home. Wherever we were, she worked her home magic . . .
Actually, the job she does as our parent? That is the one where she is truly inerrant. Our birthday parties were best of the best. And our Easter Egg hunts? They topped all the rest. Like the best cowboy suit that you’ve ever seen. And suits for her pastor to go to work in. (Until they play games and end up the losers)! Jay, Mike, and Kim, and soon grandkids too. And just this year, we added one more. And we know every morning you lift us in prayer. It truly is your 80th year. We cannot even start to count all the blessings . . .
Of having you as mother, aunt, friend, and wife. Mother learned sign language so she could interpret the Sunday school lesson for a friend of hers who was deaf. Later, she taught a non-credit sign language class at Mercer University. Daddy really did sign up for it so he could meet her. Daddy was not in a fraternity so he could not pin his girlfriend in the traditional way. Heinz pickles to the rescue! Back in the 70's, Mother was the first woman in her church to wear a pants suit to Sunday services. When we moved to North Myrtle Beach, while we waited for the builders to finish our house, we rented a place in Crescent Beach. There were lizards. My brother was 12. Enough said? Mother is an excellent office manager! Once, Mother and Daddy went on a mission trip to Romania. A dentist went along as well. On site in Romania, they did not have a reclining chair for patients who visited the dentist, so they had to use a straight chair. Mother sat behind the patients who leaned back and rested their heads in the palms of her hands while the dentist completed the exam. We surprised our parents with a combined 80th birthday/anniversary gift. (They were married on August 14, 1960.) They've dreamed of taking a train trip through the Canadian Rockies. We set up this fundraiser to help them make that dream a reality. While private donations have essentially doubled the amount you see online, we still have a ways to go. Would you like to help us make their dream come true? Every amount counts--single digit donations add up fast! Here's the link: https://goo.gl/ESDQ5A. My workouts this summer have not been nonexistent; however, they haven’t been what you would call regular either. So, when I got to the gym this morning, I was feeling pretty proud of myself. I started my work-out on a cardio machine, listening to an Audible book while I was at it. I picked a machine with the TVs behind it because I didn’t want to be distracted by the news. For some reason, I just don’t seem to have an emotional epidermis; things get to me that apparently don’t bother others. Maybe that is why I am so highly attuned to angry voices—something in my brain picks up the tension before the person even looks or sounds very upset to anyone else. So, anyway, I was happy to find a cardio machine with its back to the incessant media input of the gym’s wide screen TVs. I had just gotten started when I began to sense hostility nearby. I looked over my shoulder and noticed a staff member (let’s call her Carla) about to assist a patron (we’ll call him Josef). Carla, a gym favorite, is legally blind and brings her guide dog along with her to work. She’s worked there four or five years. I thought initially that I had misread things and that Josef was just making an attempt at sarcastic humor. I submitted a comment card detailing the incident and told Carla I would go ask others to do the same. At the time of Josef’s verbal assault, all the cardio machines around him were occupied. I knew others had to have heard it. Well, maybe they did, but didn’t want to get involved; or maybe they were all so internally focused that they truly did not notice what was going on around them. In either case, not one of them was willing to complete a comment card. Carla thanked me repeatedly, I gave her my contact information, and I went on my way. Oh, one more thing. I haven’t been to that branch of my gym in more than a year. I only went today on a whim. Or so I thought. On my last Sunday at FBC Weaverville, I read this little ditty at the reception following worship. It is set mostly in the context of this congregation, with lots of personal references. But for what it's worth, here's my Seussian farewell to FBCW. “It’s a really good church,” my friend said to me. “You know Jim McCoy, the pastor?" said he. In the pizza place on Main Street with Kirk McKay?" I came here to join you at this very place. And also of course with the singing McCoys. Molly and Marley, the twins and Dylan. Remember the Sunday of Benjamin’s run? I told you some stories and you gave me your heart. We worshipped, we laughed, and we shed tears a plenty. With God as our parent, we’re all family. Today was my last Sunday as Children and Youth Pastor at First Baptist Church of Weaverville, NC. I will begin my new role as pastor at Ecclesia Baptist on August 12. I wrote the letter below for the August 2018 FBCW newsletter that came out today. For five years, I’ve been a part of the FBCW family as member and as minister. Reflecting on my time here, I’m struck by how much life we have shared since I joined you. Back when I started, Garrett Spivey was in the 7th grade and—much to his frustration—was barely 5’0 tall. David Stone was on crutches and Christin, pregnant with Jonathan, was on bedrest. Dave Miller still drove the golf cart for the fair ministry, Dawn and Irene Edwards sang in the choir every Sunday, Mary Porter crafted handmade cards for the CARE Ministry, and Juanita Mantel was making delicious magic in our kitchen. Indeed, our church family has experienced the fullness of life during these past five years. Now as we transition from what has been to what will be, I am reminded of lessons I have learned from my own family over the years. As a preacher’s daughter, I left churches several times throughout my childhood. In my grief over leaving beloved church family, I would cry out to my mother that I wished I had not made any friends at all in that place because leaving them was just too hard. My mother consoled me saying, “It is always right to love with your whole heart. Fearing the pain of loss is never a good enough reason to withhold your love.” Thank you, FBCW for loving me well. My prayers is that you will love your next ministers with as much devotion as you have loved me. Once when my father resigned from a church, a number of members told him that if he was leaving, they were going to leave too. He was deeply aggrieved about this which I found surprising. I have never forgotten this wisdom. It is painful when someone leaves our church family; that pain is not relieved by breaking the fellowship, but by wholeheartedly honoring our covenant to each other. My brother was a youth minister for more than two decades. When he would begin a new position, he inevitably faced resistance by those whose loyalty remained with his predecessor. Far too often, when he proposed changes or offered new ideas, he was regaled with nostalgic tales of times of old. It was exhausting for him and it limited his ministry. We have certainly shared some wonderful times together. Store those memories and open your hearts and minds to make new ones with my successor. Recently, my sister reminded me of a family story that I hadn’t thought about in years. It happened back when we were in college, working in restaurants over holidays and summer breaks. At the time, she was waiting tables in our hometown in South Carolina. Now, for those of you unfamiliar with the South, you need to know this tidbit. In South Carolina, when you order tea, it is assumed that you want your drink served over ice and—unless otherwise stated—sweet enough to pass as a dessert. It’s the rare Southerner who would choose hot tea to go with a meal. Even then, it would be requested with a touch of embarrassment or a word of explanation. “I’m coming down with a cold, you see, or I’d have the regular.” At which point, the waiter would say something like, “Oh! Bless your heart! I’ll getcha some iced tea for after you finish that stuff. No charge. You can take it to go.” In the South, iced tea is serious business, and it’s just not something you want to go messing around with . . . .
As my sister recalls, it all started because one night during the supper rush, a fella complained to the management because he had to request a spoon for his glass of sweet tea. According to him, the tea wasn’t quite sweet enough and he wanted to add more sugar. Not having a spoon readily available (and apparently unable to make do with either his knife, fork, or straw), he made quite a stinker of himself, frustrated that he was made to wait even momentarily for the preferred utensil. His nastiness threw the staff off kilter and made for a rotten night for everyone. By the time the servers arrived the next day, the restaurant owner had devised a solution to this customer service conundrum. Incidentally, this was the first time in memory someone had requested more sugar for the sweet tea. Never mind that though; on to the solution. The staff just looked at her, apparently waiting for her to see the obvious flaw in the plan. She didn’t; someone spoke up. Well, you can imagine how this played out. The first really busy night, they ran out of teaspoons early on and the plan was scrapped. Which was fine really, because the problem wasn’t the system in the first place; the problem was a grumpy man who had probably just had one inconvenience too many that day. Overcorrection: just one more way to create major problems out of minor ones. It is a tell, a tradition. 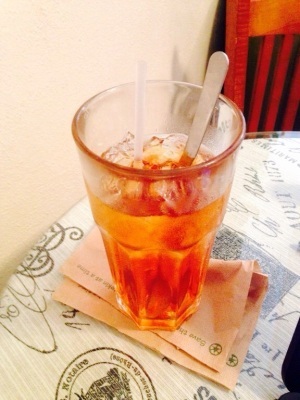 Sweet tea isn't a drink, really. It's culture in a glass. Jacob (front), Seth, Ken, Kim, Luke. (middle), Caleb (top). It was the day before my birthday and my younger kids and I were visiting with our friends the Chantemerles—Joanna and her two children—in Charlotte, NC. It was hot (it’s always hot in Charlotte in July), so we took our kids to nearby Carowinds to the water park, Carolina Harbor. It was a beautiful day, but I was not at all in a festive mood. My friend Kim from Oklahoma City was in the hospital due to complications from a recent surgery; her son, Caleb, the same age as my youngest daughter, was at home with the rest of the family. I kept my Nokia flip-phone handy; I did not want to miss her call. You see, Kim and her family had been suffering through an unimaginably difficult year. March of the previous year, Kim had triumphed over breast cancer. The joy over this victory faded quickly, though, because in April the family learned that Caleb had a rare and deadly form of cancer called DIPG (Diffused Intrinsic Pontine Glioma). By that day at Carowinds, Caleb had lived with DIPG for 15 months. A month earlier, Kim had gotten more devastating news. She had a new cancer—no connection to the breast cancer—and would have to undergo surgery to have a chance at a full recovery. Around that same time, Caleb’s condition began declining rapidly. Kim had the surgery and returned home to join the family in attending to Caleb’s palliative care. Unbelievably, she soon began experiencing excruciating pain and was rushed back to the hospital for emergency surgery. That was where things stood on that day, July 21, 2009. Meanwhile, my kids and their friends played in the water park, enjoying new independence at the ages of 11, 13, and 15. Joanna and I pulled a couple of lounge chairs together to serve as headquarters for the day, directed the kids to check in with us hourly, and sent them on their way. The call came. Kim sounded numb, hollow really. What do you say to someone who is in the hospital recovering from emergency surgery while her son slips into the hereafter back at home? I don’t know. I couldn’t tell you what I said; I just remember being determined not to lose it emotionally while I was on the phone with her. I held it together for the few minutes we were on the phone, hung up and released the fragile hold I had on my state of mind. She was right. I don’t know if it happens to everyone, but when I lose a loved one, all other losses rush forward into the present. The aunt who passed away when I was six years old, the grandmother who died when I was in college, and yes, my little three-and-a-half-year-old friend, Paxten, who died the previous year, also from cancer. . .those and others crowded into my heart for their share of the sadness, managing to multiply, rather than to divide it. Yes, my daughter spoke the truth: I did feel a sweeping, all-encompassing grief in the minutes following that phone call. But I also felt a pain piercing past all previous ones, a one-of-a-kind sorrow, instantly and specifically formed by the passing of 11-year-old Caleb Spady. After a few moments, the sounds of Carolina Harbor seeped back into my awareness: loud music proclaiming “Summertime’s calling me,” children squealing as they waited for the bucket hanging above to dump cold water on their heads, parents calling out, “Walk!” and “How about a snack?” and “Come dry off!” Just another day at the water park. And a day I will never forget. so you will not grieve like people who have no hope. God will bring back with him the believers who have died. Thus, it’s not all that surprising that I felt called to ministry. The first time I heard that call clearly came in the form of a dream back in 1985. I’m walking along an open trail, that leads up a hill. Just as I reach the crest, three crosses appear in the distance. The crosses loom large, towering over the tallest trees. The rugged beauty before me catches in my throat. I look around. There should be a crowd viewing this extraordinary sight, but I am alone. I look for someone with whom to share my find when, as often happens in dreams, the scenery suddenly changes. Now, I am looking down into a valley where I see a group meeting—it looks like an outdoor classroom of sorts. I yell, but no one hears me. When I told my college roommate about the dream, she was ready to walk me over to the religion department right then to discuss changing my major. It was indeed a compelling dream, but I would not be making any changes just so I could go to work in some church, of all places. First, it was 1985 and things did not look good for Baptist women called to ministry. Secondly, I had lived that life already. My father was getting his heart broken almost daily by his Baptist denomination; I had no interest in aligning my career with an organization fraught with such cruel infighting and painful division. (Plus, let’s be honest, I was 20 years old and knew far less than I thought I did.) I stuck with my history major, figuring God would come around to seeing things my way soon enough. In January 2008, I enrolled in Gardner-Webb University’s divinity school, graduating in December 2010. From January 2011 on, I have worked in a variety of ministry positions; in 2013, I began my present job as Minister with Youth and Children at First Baptist Church of Weaverville, NC (FBCW). Theologian and author Howard Thurman once said, “Don't ask yourself what the world needs. Ask yourself what makes you come alive, and go do that, because what the world needs is people who have come alive.” Click To TweetI truly enjoy most aspects of ministry—church planning, relationship building, curriculum preparation, Bible teaching, and for me, at FBCW, handbell ringing! (A6 and B6 ringers unite!) Since I began at FBCW, though, I’ve also been invited to share in the task of preaching. Preaching for me is . . . well . . . it’s transformative. Theologian and author Howard Thurman once said, “Don't ask yourself what the world needs. Ask yourself what makes you come alive, and go do that, because what the world needs is people who have come alive.” Alive. That’s how I feel when I preach: wholly alive and most completely in line with who God created me to be. It’s like every time I preach, I am born again. My daddy always says, “Everything of value requires some sacrifice.” Such truth. Indeed, I will miss the church family at First Baptist Church of Weaverville: the precious children who have ministered to me, the dear friends I have made, and the greatest co-workers anyone could imagine. My ministry at FBCW has been rich and full and has given me great joy; I will always be grateful for the ways we have loved each other. It’s been 33 years since I had that prophetic dream. It gives me unspeakable joy to realize it at last.